Do you fancy winning a table for 10, worth an amazing £840, for the Rugby League World Cup match between Italy and Tonga at the Shay Stadium on Sunday 10 November 2013? The table will be part of the silver package that will be hosted in the East Stand Banqueting Suite and will include a top category match ticket, a three-course pre-match dinner, private bar facility, a pre-match question and answer session with players and Rugby League legends, and a souvenir programme. To be in with a chance of winning, simply purchase a raffle ticket for only £2. The tickets will be available to purchase at the following times / locations. Sunday 1 September from 12pm to 3pm in the Supporters Bar at the Shay before Halifax RLFC vs Workington RLFC. You can also take your photo with the actual RLWC trophy here too. If Halifax RLFC has a home playoff game then the draw will be made at half time. If there is no home playoff game the draw will take place on Monday 23 September. 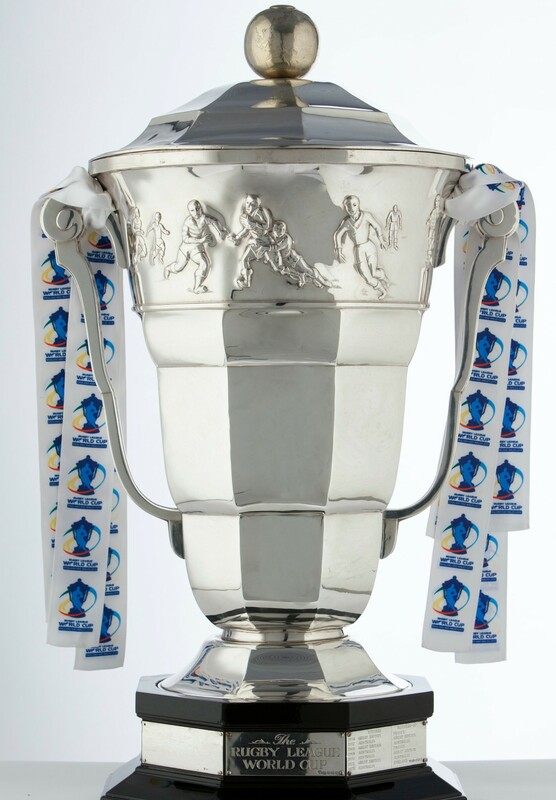 For more information on this, or to buy tickets for the game visit www.rlwc2013calderdale.co.uk(external link) or contact the 24 hour ticket hotline on 0844 847 2013. This entry was posted in All news, Sport and leisure. Bookmark the permalink.